So you may have noticed that I've been trying to cook and bake more around the ol' homestead. Maybe it's because I've outgrown my reputation for burning instant potatoes back in high school or maybe it's because food is a lot healthier when you make it at home instead of eating out all the time, which I admit, is almost always the easiest option. So when I was approached about doing a review of a new cookbook, The Perfect Portion Cookbook, I didn't immediately say no. I took a peek at what we'd be cooking from and I have to say that I was interested, not because of the portion control, well, yes, I guess because of the portion control! Here's the sitch: Featuring actor/director Anson Williams from "Happy Days," The Perfect Portion cookbook launches Feb. 7th on QVC. The Perfect Portion Cookbook is written by New York Times best-selling cookbook author, Bob Warden and food and nutrition expert, Mona Dolgov of Natick, Mass. and was just featured on the TODAY show and on The Doctors as a new way to think about portion control and nutrition. The remarkable recipes are all divisible by 100 so readers can eat what they love and enjoy 100, 200 or 300 or 400 calorie portions. Delicious recipes like French toast, chili, chicken pot pie, and lasagna swap out better-for-you ingredients that don’t sacrifice flavor and taste better than the originals. 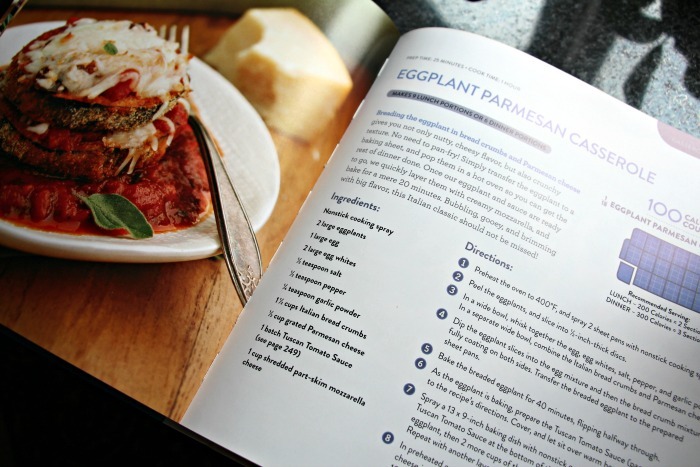 When I first received the cookbook, I was a little surprised at just how many recipes were included. Each page had a tried and true, easy to make recipe... most importantly, they all look like they tasted yummy! Portion control tips and tricks for each recipe are noted on the pages, so it's super easy to be like OK, I eat this much and it's 100 calories. It's actually a REALLY easy cookbook to follow. I mean it. Something I have always wanted to do was to wrap something in parchment paper and bake it in the oven. Why have I never done it? I guess I thought it would be too hard/time consuming... but on a lunch hour this week, I grabbed some Tilapia and I made myself a yummy (and healthy) lunch, baked fish packets with dill! I literally had all the ingredients in my house: tilapia fillets, lemon juice, butter, minced garlic, salt, pepper and dill. See? 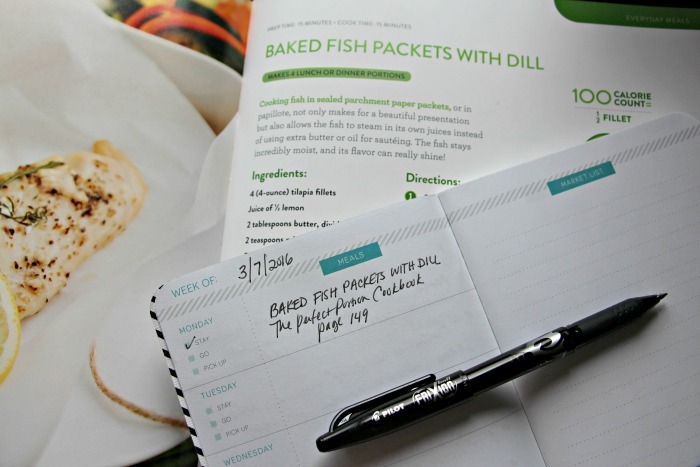 Totally doable whether you are spontaneous or if you're putting it in your meal planner! My lunch was quick, easy, healthy and tasty... what more could you ask for? There are so many other recipes that I am dying to try (eggplant parm casserole, turkey tetrazzini, ratatouille & sausage bake, sweet potato hash and so much more!) that I have been adding them to my meal planner and ensuring that everything is in stock. I really feel like this cookbook has challenged me to make things that have always seemed difficult but really aren't. I know they set out to teach me portion control but to me, this cookbook is more than that. I really do love it, so much that I left a review on Amazon for good measure. I'd like to see this cookbook succeed, that's for sure! Have I piqued your interest? Grab your copy on Amazon today! *I received a copy of The Perfect Portion Cookbook for review. All opinions are 100% my own and as always, thanks for supporting the brands that help Prim and Propah every day!